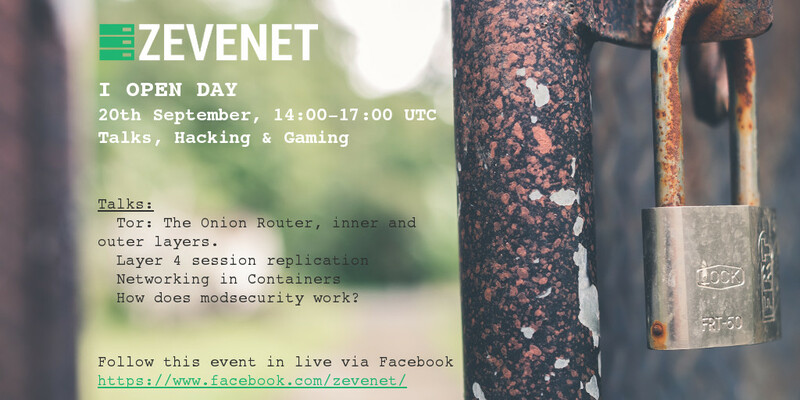 Come to know us the 20th of September afternoon to meet with the Zevenet Team. Students, devops and professionals are welcome. During 3 hours we’ve prepared some interesting activities like talks, hacking time & gaming. 14:10UTC Tor: The Onion Router, inner and outer layers. 14:45UTC Layer 4 session replication. 15:55UTC How does modsecurity work? Follow this event in live from our Facebook channel.